Deciding on (and then actually getting!) 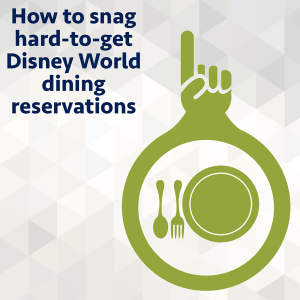 the Disney World dining reservations you want is one of the toughest parts about planning your trip. With hundreds of restaurants and dining options available it seems like it should be easy, right? But, the truth is there are some restaurants (like any that have character meals) where finding a reservation at your preferred time can be downright tricky. But, don't despair; there are some things you can do to maximize your chances of getting exactly what you want. Reservations for all the restaurants at Disney World open up exactly 180 days in advance. The most foolproof, surefire way of getting any reservation is to book 180 days before your trip begins. If this is your first trip to Disney World you may think that sounds crazy. How are you supposed to know where you want to eat 6 months from now?! That is why we recommend you decide on your daily plan before you start picking where you want to eat. Lots of people want to skip that step and go right to choosing their dining options but trust us, you do not want to do that. Disney World is HUGE so unless you want to spend a large chunk of your vacation on Disney transportation (and trust us, you don't) you'll want to choose to dine in places close to where you'll be that day. So - make a daily plan first, then select your dining options so you can be ready right at 180 days out to make your reservations. Online reservations open up at 6 a.m. Eastern Standard Time, while the phone lines open up at 7 a.m. Always try the website earlier but keep the phone number handy in case there are issues on the website - 407-WDW-DINE. Note: make sure you have your credit card handy. All reservations now require a credit card guarantee so you'll need to enter the number in when you make your reservation. This tip is especially useful for guests staying on site because on-site guests can make dining reservations for the entire length of their vacation (up to 10 days worth!). That is different from how it works for people staying off site. Off-site guests that want to maximize their chances of getting everything they want will book 1 day at a time, exactly 180 days out from each day they want to make a dining reservation. If you are staying off site, there is no option to book for the entire length of your vacation at exactly 180 days out. That is a perk reserved for guests staying on site only. You could wait until you are 180 days out from the last day of your vacation and then book all of your dining reservations at once but we do not recommend that. You'll likely find if you wait to book that your dining options and times will be limited and some of the most popular meals will have no availability at all. So, if you are staying off site and you have your heart set on on specific times or restaurants, you'll need to plan on waking up and making reservations at 6 a.m. EST in the morning exactly 180 days out from each day you need a reservation. On-site guests have it a lot easier. Unless your vacation is longer than 10 days you will only have to set aside 1 day to make your Disney World dining reservations. People staying on site can book all of their reservations for their whole trip 180 days before the trip begins. That means that your chances are better toward the end of your trip since those dates aren't opened to everybody yet. If there's a place you really want more than any other, stay flexible and have a couple of date options. Here's a video that helps explain this a bit better. If you book your reservations chronologically, you may miss out on some of the difficult ones. Put them in order of difficulty so you can try to snag reservations for the hardest ones first. Note: do not be surprised if no availability shows at the 180 day mark for the dessert parties and dining packages such as the Rivers of Light or Fantasmic! dining packages. Those frequently don't show up in the system as available until later; however, it is best to check at the 180 day mark just in case. Using a computer can make the process of booking reservations easier. Before your 180 day window opens, open a tab for each restaurant you plan on booking and arrange the tabs in order of difficulty. 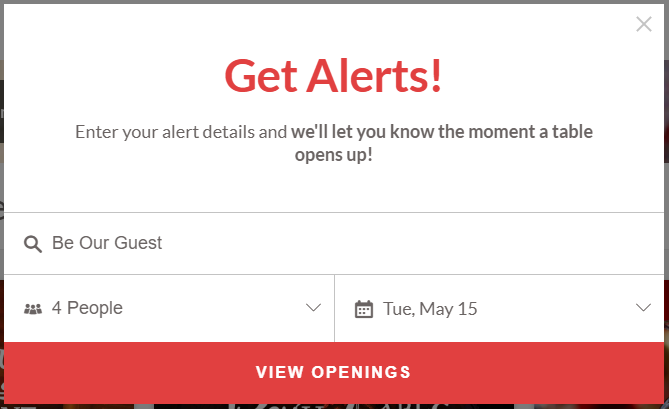 Make sure you are logged out of My Disney Experience before your window opens and then right at 6 a.m. EST, log in, and click through each tab to make your reservations. Using multiple tabs this way saves you time the morning your Advanced Dining Reservations open since you wont be searching for each restaurant one at a time - they'll already be open and ready to go. Here's a video showing how this works. In most all instances, 1 person working on 1 computer is plenty but if you are booking for a large group, during an extra busy time of the year (such as the holidays) or trying for lots of hard-to-get reservations - all things that can make it more challenging to snag the reservations you want - you might want to consider using multiple people on multiple devices. For example, put 1 person in charge of snagging that pre-park opening Advanced Dining Reservation for Be Our Guest while you work on everything else. Sometimes you may have to compromise a bit to get what you want. This is especially true if your group is on the larger size (anything more than 6). Try for reservations during unpopular times of day. Dinner and pre-park opening breakfasts are 2 of the most popular times of day to dine, which means they'll be the first slots to book up. Instead, try dining during less popular times of the day to maximize your chances of finding an opening. If you can't get 1 reservation for your entire group, try splitting up into 2 smaller ones. When you check in you'll be able to ask the hostess to sit you together (or at least near one another, although this isn't a guarantee. And, depending on your group size, even if you booked under 1 reservation, the table configurations at some restaurants simply don't allow for large groups to be seated all together so there is always the chance your group might be split up. People often feel like if they got up early at exactly 180 days and weren't successful snagging what they wanted that all hope is lost - but it isn't! If you're past the 180 day mark, give these tips below a try. Non-Disney owned restaurants don't release many seats to the Disney Dining system, so you're better off calling them directly if you can't get reservations through the Disney Dining system. Restaurants throughout Disney World are now appearing in the OpenTable app and website. Be sure to check there for availability as well. MouseDining is a popular service that constantly checks for openings at restaurants you choose to track and then sends you text alerts when something becomes available. This is a handy feature (and a huge time saver!) since it isn't uncommon for available reservations to be released in batches. If you are looking for just a couple openings, their free version would probably work for you but even if you need to upgrade to one of their paid options, the small cost is well worth the time it would save you from having to do all the checking on your own. Disney World has recently adopted a new cancellation policy that requires a credit card to secure any Table Service reservation. If you don't cancel by the day before your scheduled reservation, you'll automatically be charged $10/person. The good thing about this policy is that it keeps people from stockpiling reservations that they aren't going to use and it means that openings come up the day or two beforehand that people can snag for their trip. Use this to your advantage and try checking again, even up until the day before, to see if you can get what you want. If thinking about trying to snag hard-to-get dining reservations feels more scary than fun, you should think about booking your vacation with a travel agent. If you're interested in booking your next vacation with one of the travel professionals there, fill out the quote request form and one of the hand-picked team will get in contact with you shortly. The same ideas above could be applied to booking special events like boat cruises, although you almost always have to book those 180 days in advance. Since those have even fewer spots available than restaurants, you should put those high on your priority list. Are there reservations you're hoping to get or other tips for snagging hard-to-get Disney World dining reservations you'd like to share? We followed your strategy this morning and we got every dining reservation we had wanted! Thank you so much for writing this article! We got several BOG reservations including an 8am, Tusker House ROL package, Ohana dinner, Storybook dining with Snow White (this was the only one that took any extra work to find), Bon Voyage breakfast, Liberty Tree Tavern dinner, Mama Melrose Fantasmic package, and Yachtsman. 😀 We are so excited 😀 Thank you! 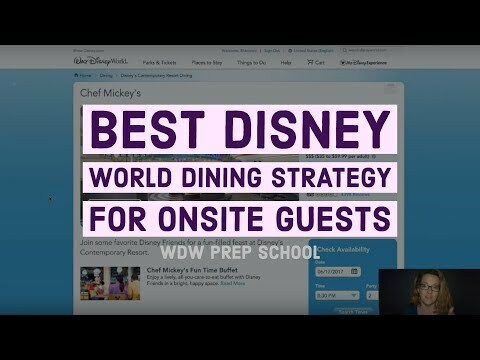 Awesome seeing MouseDining getting a shout out here! I was one of the developers who built the first version, and I still use it regularly. Dustin and crew are great folks! I know I’m biased, but I’m a huge fan of the app and can’t imagine scheduling a trip without it. When you set your tabs, do you have to finalize each reservation for each tab or can you go to the next tab and refresh and book the next tab? I see I can add a credit card to my account. Will it be available for me to click on during the reservation process. I guess I am looking for the steps. First tab, choose date and time…then what happens? Finalize that tab before moving to the next tab? Today was my 180 days and I got everything I wanted using your suggestions including CRT and Beaches & Cream!! Thanks so much Shannon!! Just wanted to say thanks for the tips! My ADR day was a few days ago, I did everything you said, and got all the reservations I wanted. BOG lunch, Ohana Dinner, California Grill, Tusker House dinner, and The Crystal Palace breakfast. I’ve been going to Disney for years, but we usually travel in the fall when it’s not busy, so getting hard to get reservations isn’t as difficult. This year we’re going early April, a much busier time, so I was a bit worried, but had no problems at all! Thanks again! Why do you need to log out of the my disney experience before beginning your searches at 6ET? Doesnt that mean you’d have to log-in again for each tab you created? You’ll just need to refresh each tab after you’ve logged in. Is there any difference between an 8am breakfast reservation and an 8:05 reservation? 8:05 is the earliest time you can usually get. My trip is for 13 days, will I be able to book ADR’s for the entire trip at the 180 day mark or am I going to have to get up early to book multiple days in a row? Thanks in advance! If you’re staying onsite, you’ll be able to book the first 10 days of your trip at the 180 day mark. After that, you’ll need to do the last few days one day at a time. Hi! Just to clarify — what time does the online booking system open? 6am eastern, or 7am eastern? The official Disney website says 7am eastern, but several planning boards say 6am. Thanks! 6 a.m. eastern for dining, 7 a.m. eastern for FastPass+ reservations. Hope you’re able to snag everything you want! When setting up tabs what do you mean by refreshing each tab? Also if I sign in at 5;00 am to set up tabs, log out and log back in again, will the tabs display the 5;00 am log in and disallow reservation? You can set up the tabs the night before, and then after you log in fresh in the morning, you can refresh each tab so that it shows you as logged in. I wanted to write and THANK YOU for these tips! I followed your plan exactly and was on my computer at 3:45am (I live in Denver) and opened all of my tabs and prioritized the order of my dining reservations. At 4 (6 EST) on the dot, I refreshed my tabs and started making reservations. I was able to snag all of the reservations I wanted, on the day/time I wanted them! I reserved Be Our Guest, Cinderella’s Royal Table, Tusker House, Mickey’s Backyard BBQ, Chef Mickeys and Garden Grill!!!! I am beyond excited!!! Thank you so much!!!! Thanks WDW Prepschool! These tips made making my ADRs a snap! I got every reservation that I wanted! Hi! We make our 180 ADRs on Monday. Yay! Question: which is more difficult to get Ohana dinner or BOG lunch? Thanks! For anyone having trouble: just check everyday!! Each year I book as far in advance as possible, but still don’t get all the ADRs I want. But I’ve snagged ADRs for the dates/times I’m looking for as little as a week in advance for our trip. Like many have said, that’s around the time ADR hoarders start to make final decisions about what they want to keep, and you’ll see new times available. I actually found Beaches and Cream at the Beach Club Resort a harder reservation to get than Be Our Guest. I might not have gotten one at Be Our Guest right away, but with periodically checking throughout the day after my 180 day mark, I finally got one. Took twice as long to get one at Beaches and Cream, though, and even then it wasn’t really for when I wanted it. People cancel all the time, so best thing is to keep checking. My friend is going in January and couldn’t get into Be Our Guest. I checked a few times and got her a reservation. I’ve found (though this will be bad for those who work) that the best time for getting in those hard places is during the week, during the workday. Forget it on the weekdays because everyone else is trying to do the same thing as you. I have had the same experience with Beaches and Cream & agree with your comments. I would even add that Beaches and Cream is THE most difficult reservation to get after the 180 day mark has passed (I can’t speak about the difficulty of getting B&C 180 days out because we seldom plan our trips that far in advance). I maddogged the computer for weeks leading up to our trip and miraculously found a reservation about a week before we left. Nothing – not Cinderella’s Castle, not Be Our Guest, not even the Wine and Cheese event at AKL – is anywhere near that hard to find; the reservation may not be at the perfect time but a reservation can be found with a moderate amount of checking. B&C not so much! Can someone help me understand how to take advantage of the 180 + 10 ADR perk that you get by staying at a Disney resort? I’m getting really close to my 180 days, but when I look at the reservation page, the dates of my trip are still blacked out. How do I do this?! Your trip dates will open up when you’re 180 days before your trip begins. At that point, you’ll be able to make reservations for your whole trip (up to 10 days) at one time. Off-site guests don’t get to make their reservations all at once; instead, they have to log on 180 days before every day of their trip. I managed to get a reservation at BOG for an 8am breakfast. Here’s the BUT. It’s only for a party of 1. Will the entire party be seated? I would like lunch reservations for canada and Brown Derby. I am so lost here,,,dh had leukemia and I really want this to be a nice vacation for him with grandkids. I’ve read on Twitter that December 2017 reservations are not available at 180 days. People are having difficulty getting ANY of the character meals at 6am on their 180 day (plus the few extra days). Any ideas on that? I can book Sunday but I don’t want to go through all of this for nothing! I even looked for a basic reservation on December 11 with very limited options!! I couldn’t get ANY character meals for our December trip. We were able to start booking today and only thing open the entire week we are there is chef Mickey. Me, too! I went online at 6:20 am and almost every character meal for our entire trip was full! And we’re going at a time when crowds are supposed to be lower- December 11-15. It was really frustrating. This explains why I can’t find anything good for our Dec. 16-23 trip. I can’t even get Ohana. I’m just hoping that things open up while we are there from people canceling. Does anyone know if they are up now? Or just all booked? I was able to book yesterday for A character dining and Be Our Guest for the last week in Dec.
We originally had a reservation for the beginning of December (changed it to Halloween when I discovered we’d be there during Pop Warner week). My 180 days was in July, and I could book December meals. However, I couldn’t get very many. For one thing, many restaurants in the Magic Kingdom won’t let you make a reservation after a certain time on nights that have the Very Merry Christmas Party. If you don’t have a ticket to that, you have to leave the park at 7pm. But even without the Magic Kingdom, I had a hard time. I had eight table meals but couldn’t only book about three. We are booked for our next trip May 20 – May 26, 2017. We were able to get almost everything we wanted in terms of restaturants but cannot seem to find anything for breakfast at Hollywood & Vine. Is this restaurant really that popular now? Is is possible that they haven’t released the tables yet even thought the 180 day mark was last week? We called today for June 1 because it was unavailable and they said it wasn’t released yet for March or June. They said keep checking daily. So we have secured all our reservations for our trip. (WOOHOO!) but the STK Orlando restaurant would only let us book Lunch on the Disney Dining Plan. Do they not do Dinner on the plan or did we get in too late?? They do accept the DDP for dinner. I’d go ahead and try to make a reservation through Open Table as they have more availability than the Disney Dining system. When you’re eating at the restaurant, they’ll ask if you’re using the DDP and you can tell them then that you’d like to pay with credits. How long are the reservations for? If we reserve an 8pm supper reservation, do they hurry us along afrer 60/90 minutes, or if we Want to take 120+ minutes of appetizers, entrée, desert then drinks etc is that allowed? I know this is an old question, but it’s one we asked a lot before we got to Florida. We have found that all of the Park dining experiences are designed to take between 50 minutes and an hour. Cinderella’s Castle a little longer. They don’t hurry you along as such, but you don’t really need to spend more than that amount of time to get the full experience. Even the character meals are all done in that time, and then the ‘show’ seems to go on repeat. If you want a longer experience the Signature Restaurants in the resorts do a great job for that big night out. Is there a WDW for Dummies or something? My husband and I are going to Disney at the end of next month. We planned this trip completely last minute a few weeks ago. We have had to cancel this trip twice already prior to this time because of extreme family circumstances. Needless to say we are totally excited and I have never been to Disney but reading your blog is making me terrified. Although, it is very helpful I didn’t know so much went into this planning process. Am I going to be able to even get anything reserved for us at such a late time? And where is everyone even getting the lists of all the restaurants for them to even know if they want to go there or not so that they can RSVP in the first place? I have no idea what all the options are to know where and what I want us to do. I thought I was doing well by just picking the park I wanted to visit. Do the reservations by phone for T-Rex and Rainforest open 180 days in advance as well? If so, what time do their phone lines open? Also, is there a chart or list somewhere listing the restaurants in order of difficulty of getting reservations? I was on at 6 am to book ANY Princess breakfast or BOG lunch for November 30th, with NO options on my phone app or desktop browser. I guess I’ll call in 30 minutes. I am so sad it is looking like we might not get into ANY of our restaurants we dreamed of. I’m having the same trouble with several of our restaurants for early december too! so bummed that I got up this early on a saturday for nothing! Woah! This is happening in 2017 too! What did you end up with?? I can start on Sunday. I was told to just keep trying so that’s what I’m doing every day! We are going the week of Nov 28th. Akershus is our main goal!! I was finally able to get Akershus for breakfast on the 27th yesterday! I’ve been trying since 180 days as well. Don’t give up! I try every day at least once if not twice in hopes a reservation hoarder has made up their mind and canceled. Good luck to you! I am having the same issue!! I even checked with less popular restaurants like Liberty Tree with NO AVAILABILITY for my release day today. Same thing happened yesterday for my Epcot reservations. Did you have any luck trying the phones or trying throughout the day? This is happening to me now in 2017. What did you end up doing? We are scheduled December this year. Is there a ranked list of how to prioritize which restaurants are harder to get into than others, so I know in which order to try to make my reservations? 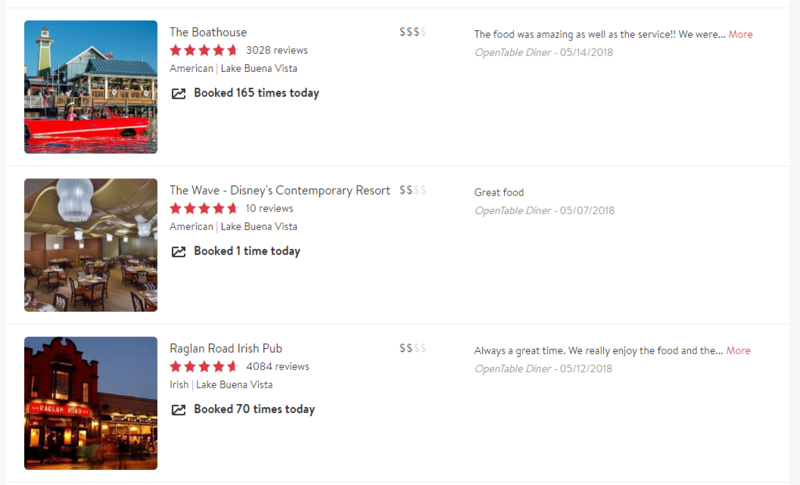 Level 2 WDW Prep Members have the order to make restaurant reservations listed on their trip summary page. Our whole family has decided to go December 10-15 for an early Christmas Vacation. We want to experience Disney at Christmas without the large crowds. However, there are 12 of us. OF COURSE our list of restaurants are most of the hard to get ones as our group of 12 includes 6 young children. Any suggestions on scoring all of the restaurants with a party of 12? Should I just call the group dining line? I just booked yesterday all of my reservations for a party of 17! Book all your hard to get restaurants towards the end of your trip. Also some restaurants don’t sit more then 8 to a table anyways. So split up if you have to. I was able to book all of the restaurants I wanted! ??? I have a question about CRT. I know you have to pay in advance, but if I’m using the dining plan do I still need to do this? Thanks in advance. No. But a credit card guarantee is required. Ir ealize you’ve likely already taken your trip, but others probably wonder – I did. Yes. You pay the full price in advance. When you arrive tell them you’re using the DDP (2 credits) and your card is then refunded. We were able to snag a California Grill reservation for our upcoming December trip to celebrate out 25th wedding anniversary! What I am wondering is if we can go up early to watch fireworks (scheduled for 8:00) with a 9:15 resv? I know you can go up after with your receipt but cannot find any info on going up before. Thanks! I was able to make ALL of my Spring Break 2016 ADR’s this morning thanks to you and your wonderful advice. I absolutely LOVE your website! It really makes the planning process so much fun! I also made a Disney planning binder, per your suggestion, and wrote down all my confirmation numbers. Come on, March! I am planning my first Disney World trip and all my friends say I’m psycho with how much studying and planning I have done. I think I have read every tip, idea, you name it from you and other sources. We will be traveling with a 22 month old and 3 1/2 yr old. At 180 days I had 4 computers opened, logged in and ready to go at 5:30 going over scenarios with my husband (he was calling for BBB and Harmony Barbershop), if things got moved around. We got almost everything we wanted. 2 CRT, 2 BOG, the works. (For Christmas week). 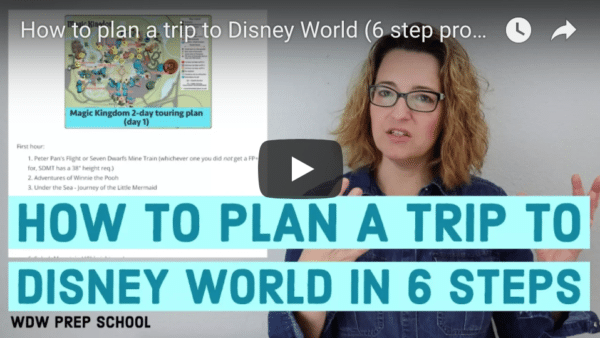 There were some times that we wanted better for our schedule so we signed up for the WDW Tablefinder that I read about in one of your articles. OMG! I LOVE IT! SOOOO worth the money. We only have 2 more reservations that we are waiting on for better times. But we have gotten improved times for 4 reservations already and it is so easy! You just have to be quick. As soon as it pops up… click the link. I’m waiting for my 60 days to do FastPass, but we have our strategy and are excited for our picks and our upcoming trip! Thanks so much for all the information!!! Oh, one thing that I wanted to add was this. In my pecking order of restaurants I did not put Tusker House Breakfast at Animal Kingdom as a priority list. By the time I got to that reservation on my list it was gone. This really surprised me. Especially since I got every one I wanted, just not at my “perfect time”. So, I would suggest putting it higher on the list than you would think. Not before CRT or BOG, but close. I got the WDW Tablefinder and it got us a reservation in the morning for the Character Breakfast for 5 people Christmas week. I got the package of 10 for $50. Worth. Every. Penny! Hi Shannon! We booked our dining reservations 180 days in advance, got all the places we wanted, however we didn’t add our baby since he wouldn’t be eating from the restaurant. So booked a table for 4 instead of five. We changed some but the others are booked, do you think they will turn us away if we show up with our baby. We really don’t want to cancel our reservations ?? We were going to do that too, since it’ll be easier to book a table for 6 than 7. Did it work out for you? I don’t know if they would turn you away, but I do know when I went with my son who was one at the time, they wanted him included in how many were going. I would just call Disney dining and ask. Here’s something I discovered about T-Rex that you might want to add. We have a large group on 10. On disneys site you can’t book for a party that large at T-Rex. So you have to split the party into 2 groups and hope they’ll be able to sit you together. If you call the restaurant directly (using the number you so fabulously provided), they can book large groups. We were able to get all 10 of us, at 1 table, at the time and day we want this way! Thanks so much! Can you still make ADR 180 days out if not staying onsite with dining plan? – If you absolutely want to go somewhere that’s full, try looking closer to your trip, right when your final balance is due (I think 30 days prior to your trip?). It’s been my experience that there seem to be some reservations that open up right around that timeframe. We were able to get Coral Reef reservations right at 6:30 this way. Hi Shannon, love your site! My family and I are traveling to WDW at the end of sept. I made all my dining reservations the week we booked our vacation but never could seem to get into Tusker house. I was trying to go there for Brekfast on Sept. 26th. Its always been full. Is it worth my troubles? Do you think if i call, they might be able to put me in? Hi my family and I are going to wdw at the end if sept. I was hoping to get a breakfast reservation for tusker house for Friday sept 26 but even with doing the reservations 180 days in advanced they still seemed to be completely booked for that day and that’s the only day we are going to animal Kingdom. Is it worth my troubles? Any suggestions? Planning a Nov 10-17th trip. Our 180days was on May 14th. Attempted online right at 6am, but the system was down. Called and by 6:01am ET the wait time to get to someone was ridiculous. We were watching reservations disappear while we waited. Long story, by 8:30am we only ended up with 2 yes TWO of the desired table service meals. So disappointed. Any tips on how to get better reservations? Chef Mickey on a Monday for dinner and the only opening was 9:05pm! Not do able with a 6year old. Love your site and your podcasts – I am taking lots of notes in preparation for our trip. We have booked a house offsite from Disney to accommodate our large family. My question is that our trip starts Nov 15 – so our day to book ADR’s is May 19. Since we are not on-site at WDW how does it work for us to book our reservations for our 10 day trip on May 19? Do I have to call everyday and book each day as they come up? I was wondering if when booking T-Rex directly, does the 180 day + 10 policy still apply, or is it only 180? I thought if only 180, then the +10 might make using the disney reservation system better for those booking asap. Is there a list somewhere, in order of difficult, of which restaurants to try for first? It was suggested to me to change your number of guests. I was trying to get Ohana for 2 and could not get a ressie so I changed it to 3 and ta-da got a ressie. You are not charged if some people don’t show. you will be charged if you are a total no-show. I am planning a WDW trip for Nov of 2014 with a 14 1/2 year old boy, 12 and 9 year old girls. Where would you recommend for us that would be age approiate? We also learned that party size counts. There must only be a certain amount of tables for two available. I have noticed that if I change our party size from two to three, a spot will be available. I don’t think this is a very ethical option tho it kinda feels like your fudging the system to get your way just cause there is no penalty?? Put yourself in someone else shoes who doesn’t get a reservation with 3 people cause you lied about your party size. Perhaps Disney shouldn’t make it so insane to actually GET a reservation in the first place, then all these people wouldn’t be resorting to back door work arounds. We always make our reservations 180 days out… we’ve never missed one yet. We even got lucky and was able to get another reservation at Liberty Tree Tavern since we enjoyed it so much last minute!!!! We plan our trip so far in advance, but I love your website and tips!! They are fantastic!!!! When I made my dining reservations a few weeks ago the first person told me the cancellation was 48 hours before that night I called to book the rest of my dining and was told 1 day before. Online it’s showing me 48 hours before I need to cancel to avoid fees. We weren’t able to plan our trip 180 in advance, so we didn’t plan any character dining. However, a spot opened up last week for ‘Ohana and we snatched it up! Wouldn’t have known to do that if it hadn’t been for your podcasts! I am hoping for several reservations for our family’s first WDW trip this summer. I think I have them listed in order of difficulty and ready for January, when I can make reservations. Can you rearrange them if I’m off? Does that sound about right? Thank you and I LOVE your site and emails!!! These are great tips. I’m hoping for a good seat for the dessert party – I booked it right when you posted it opened 180 out (even though it was that far out for our trip) I’m hoping I was one of the firsts! Have a great trip! Can’t wait to hear your thoughts! The only reservation I cared about getting was Cinderella Table for my girls when we go in may. I used all of your advice, got up to book them online at 6am, and even though the website wasn’t linking our reservations for the first 15 minutes of my attempt, I was able to land an 8:10 breakfast reservation for the first day in the parks!! I am having a hard time keeping it a secret for our surprise trip! Thanks so much for all the advice!